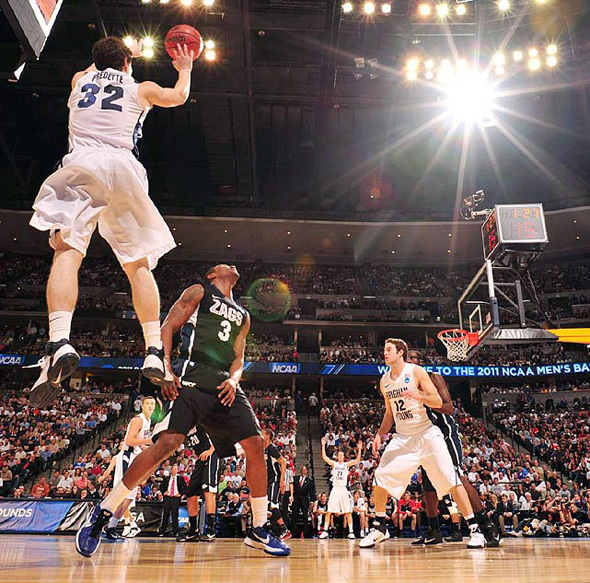 We’re SDSU fans, so you won’t see us jockin’ Jimmer too much on this site, except for here and here a tiny bit. However, this picture is sick, so I thought I’d share. I don’t even know who to give the photo credit to…whoever you are… kudos. Go Aztecs. This entry was posted in Basketball, March Madness, NCAABB, Sports and tagged Aztecs, BYU, Cougars, Jimmer, Jimmer Fredette, SDSU. Bookmark the permalink.